"Tango Card makes life easier"
What I like most about Tango card is that it takes a lot of the work off of my plate. The fact that they fulfill and handle customer service issues is huge for us. We've never had any issues with anything that we've done with them whether it's purchasing codes and having them sent to us or uploading an order for them to send to recipients. They've been helpful with so many additional things such as brand guidelines and approvals. Sonia and Elliott are always there to help in every situation! Honestly, nothing. Everything we've done with Tango has been fantastic! Highly recommended the products are amazing, the team is extremely helpful and supportive. One of our biggest issues was fulfillment, for us it was very manual and time consuming and Tango fixed that. By fulfilling for us, it has opened up a lot more time on our end to concentrate on other things. "Amazing Solution to Help Busy Marketers"
I've used tango card now at 3 different companies helping with customer rewards and fulfillments. I can tell you from personal experience that Tango card is a HUGE time saver. In the past I've had to always fulfill rewards manually through going to local markets that sold physical gift cards and then online to sites like giftcardmall.com and found that the process was very cumbersome and difficult. Thanks to tango, all I need to do is submit an excel sheet and their team takes care of all the work. It would be great to have more options for types of rewards in the future. If you're looking for an easy to use solution to help you save time and resources, use tango card for your rewards fulfillment. At Marketo we've implemented tango card in a number of programs ranging from customer advocacy, employee engagement and internal rewards and spiffs for contests run. "Life saver as a community manager and marketer, would not have it any other way!" I love the variety, the convenience and the joy it brings to the community I manage — makes my life so much easier! The region based capabilities are also key for any global business, or anyone doing business abroad. Would not hesitate to recommend to anyone. Absolutely an amazing service and their customer support is top class. Been using it for over a year and could not be any happier! Can't complain about the variety, or pretty much anything, these guys rock! Definitely give them a shot!!! A much more streamlined process of getting your community on board and keep them engage. You basically are able to please anyone at any moment. Probably one of the best services out there! "Tango Card make it easy to have virtual prepaid cards"
I like that Tango Card ease the way we offer incentives to clients in our corporation. Also, Tango Card has all the features that allows me to track the statement online where I only use my card number and CVV to login to the wallet. The way Tango Card has poor customer support. I would recommend Tango Card to all those folks who want to make it easy to pay goods and services online at ease with virtual prepaid cards. Save time while looking for card statements. Allows us to reward customers with incentives that are equal regardless of geographical location. "Make giving gift cards easy with Tango Card"
We use Tango card with Influitive and I love being able to award gift cards with the click of a button. There have been times when gift cards couldn't be delivered, but the Tango Card support helped worked through those issues. Get it to make gift giving a lot easier. Make giving gift cards easier without having to order gift cards from individual sites. I love the catalog of stores that Tango card has and keeps adding. Everyone loves Amazon gift cards, but those can get kind of boring if that's all you offer. "Tango Card is a Great Service for Rewards Programs"
Once your Tango Card account is set up and funded, it's a fairly easy process to reward clients with a Tango Card that they can redeem for almost 100 different retailers. While the process isn't too difficult, it could be more streamlined without having to edit a spreadsheet then upload to a server to be processed. That might be good for processing many recipients/cards at one time, it's a bit cumbersome for one-at-a-time card processing that could be easier with a simple online form to add the recipient info. If you're looking for a reasonable way to have a rewards program, Tango Card is a good choice. The clients that have provided feedback to us say it is easy for them to redeem their gifts as well, which is every bit as important as the administration of the program. We're using Tango Card as a prize for Raffle Drawings. It provides name-brand recognition, and as emails are sent with our logos, hopefully it's a bit more memorable with the client. The API makes it easy to integrate rewards into your platform. The Blast option makes bulk sending very simple. The reward link is a simple way to send gift cards. The variety of options provided to the recipient is one of the best features of Tango. Most other services have extremely limited redemption options for gift cards. But Tango allows the gift card recipient to redeem their reward in one of almost 90 ways. The branding process is a bit cumbersome and most customization has to be done through the Tango team (however they are fairly responsive and really good to work with) with no real self-service option. If you can automate your reward process using the Tango API that is best. If you manage the process manually then the Blast Rewards is a great option. We pay rewards out to employees, customers, and partners for participating in various programs that add value to our business. Tango filled a huge gap for us in processing rewards after we were originally buying physical gift cards and sending them through the mail. Upgrading to a virtual rewards program that gave the recipient the option to choose how they wanted to redeem their reward has been a perfect solution. Being able to quickly and easily reward a partner or employee for doing something of value builds the relationship and helps improve ongoing productivity; Tango facilitates this transaction for us in a simple way. "Tango Card is a simple yet well thought out API"
The option to email cards ourselves gives us a stronger relationship with our participants. Also, Tango Card has been very cooperative when responding to our requests for key features that benefit the platform as a whole. I think the whole emailed gift card industry needs to move toward greater automation. Amazon used to support a direct link to their gift card redemption page where, once you log in, you only need to click once to add the card to your account. It would be awesome to see this restored and to see the bulk of issuers move this way. There may be security concerns that I'm not aware of? It's a good to keep a persistent audit trail of all inbound and outbound messages. When logging message content remember to remove redemption information. Use the external ID for your company's invoice number or similar identifier, then use that plus time of original request to retrieve cards that may or may not exist following a network-related or other ambiguous error. In the past our researchers have had to purchase physical gift cards, or manually purchase cards online one or two at a time, Being able to fully automate the gift card process from purchase to delivery (including reconciliation and redelivery) has enabled our studies to include more participants for the same operation costs. "Simple Concept with Great Service"
Tango Card is unique and a perfect fit for what we do as a government agency. We run an incentive program in-house for employers that allows them to provide incentives to their smart commuters. This is run at-cost, so having no admin or load fees is crucial. The Tango Card team somehow works their magic to keep costs low but customer service high. I wish Tango Card and Prepaid Virtual Visa were more intertwined. If we have an issue with the Visa side, it usually gets referred over, and that's when the good customer service ends. Not having admin/load fees is an easy selling point. The actual Tango Card has a ton of brands to choose from which is great. In addition to running an in-house incentive program, we can easily issue survey rewards or monthly sweepstakes for smart commuters not supported by their employer. Tango Card is a one-stop-shop for all reward needs. "A great (but newer) gift card system"
I really like how personable and quick their service team is. The few times I have had a problem, they got back to me within the day. Also setting up the API has been wonderful. I was put in touch with 2 people to manage my account. One was a developer, the other seemed to be more business management. If I had a question, one of them would be able to answer it (if not both). Their Tango Card is also very useful. Instead of having to go through all the work of finding a gift card that a user would use, we simply use the Tango Card and the user can choose themselves. Their transaction history is complete garbage. Their transaction ID's are organized randomly, so if your looking for something specific, it might take a while. Also, now, you have to go to a specific URL to buy one off Tango Cards. I think this was because of some abuse by others. Not really a huge deal, but can be a pain. Their API documentation is pretty awesome, and you get a test environment to mess around with things. However, as I was talking to support about getting things going, I found out that half of the API wasn't setup yet. They really should have put a notification on their documentation about that. Again, not a huge deal, the important parts worked, but a little misleading. Use the support! If you have a question they'll be able to help out pretty fast. Also ask questions. If you do that you will have a great experience. We give out gift cards for customers who give referrals or if they have to do an extra step to complete things as a thank you. We really love the fact that the user can pick their gift card. This saves quite a bit of time talking to the client. Their API can also do the same, and once all the functionality is completed it will mostly be automated (have to manually fund the account right now). "Great Customer service and flexible"
Use them! seriously, they are easy, and attentive to your needs. The long and tedious issue of collecting names, surveying what card they want, buying the cards, labeling the cards for who they go to, and then handing them out takes so long! Now with the RAAS API and some custom code I wrote we have it done automatically and delivered to their inboxes! I like the automation of our gift card orders. Our loyalty program allows our clients to login to an online portal and redeem points towards gift cards. The online redemption automatically orders the gift card, and i don't have to do any middle man work. I don't like that I can't see how much money is available in our gift cards funds, so i'm having to do a lot of guessing. I also wish there was a way we could set up automatic payments into our account when the balance reaches below a certain dollar amount. Before we had gift cards, I rewarded clients individually by ordering them either a gift card or a tangible item. Then I'd have to package and ship the item myself. This takes away all of that work by sending e-cards in a branded email. "Fantastic SaaS Fits Gamification Needs!" Tango Card is a great synergistic benefit to provide to FidoTrack Gamification Call Center Clients it really resonates with them. The selection of offers is amazing. It also allows our software to remain relevant internationally with their growing selection throughout North America, Europe and Asia. The only real issue FidoTrack Gamification had with Tango Card was getting a credit card funding receipt. What we did to overcome that was FidoTrack Gamification generated our own receipt and facilitated that for our Call Center Client's, which made them extremely confident and satisfied. FidoTrack Gamification utilizes Tango Card to seemlessly utilize an eRewards solution and provide simple incentive programs for its Call Center clients. Our integration allows clients to offer prizes/rewards to their agents for hard work. This benefit allows for instant gratification and easy implementation of contests, promotions and challenges. The integration with Influitive makes things simple and easy. Tango Card customer service is excellent, too! The integration with Influitive was a big part of why we selected Tango Card. I was unsure if the concept of the Tango card would be embraced by our U.S. customers, but they love it. We use it for reward fulfillment with our Influitive program. Our advocates love the gift cards, so we have happy customers and the process is very streamlined. "Tango Card - Great for quick customer redemption!" Tango's service offers a quick way for digital or social teams to provide incentives and/or prizes to users. The process is simple and painless on the brand's side, providing "instantaneous" (within 24 hours) redemption for users. Customer service and account management have been an issues in the past - typically rooted in miscommunication and turnover through email. In each instance, Tango has openly admitted fault and worked to "make it right." I can respect a vendor that really owns up to a mistake. Maintain a clear line of communication with your account admin, be up-front about your budget and frequently ask for updates on budget tracking. My business use of this product has been to incentivize social media users to engage with brands - through contest, sweepstakes or micro-influencer content exchange. Love the amount of selections to choose from and helps with a wide array of clients. They can even choose a charity. The ease of use to send a reward has helped us grow our referral program. We even use this for internal rewards for employees. It takes a business day to process at times and is understandable but sometimes anxious clients do email back. Their support team is extremely helpful with integrations of other software if you reach out to them! We are incentivizing clients to refer other potential customers and even used it for spot rewards. The amount isn't usually a factor because, with a $5 reward, they can even get books or movies. This has helped us grow clients with minimal output. I'm using Tango as the reward fulfillmment application for a customer referral program. The API enables us to offer numerous types/brands of gift cards to our advocates in a real-time and painless manner. There's no need to upload spreadsheets. The time between rewarded behavior and reward receipt is miminal. There is a pretty hefty transaction fee if you choose to fund your account via credit card. However, this can be avoided if you set up ACH payments. We implemented an enterprise customer referral program and needed a solution for automating the reward management function. Tango has enabled us to save time and to achieve higher program engagement with the breadth of rewards offered and the timeliness of payment. "Much easier than managing physical or digital gift cards. " It's super easy to do and it gives customers choices in what gift cards they want. I don't like that if you pay with a credit card you have to pay the fees so it requires me to pay with a check. That's just a hassle. We use it as a thank you for customers who attend sessions we present at conferences. I most like that Tango Card has some great support. They are always helpful and are available to be reached out to at any point. Additionally, Tango offers a great wide range of options for redemptions which is very useful for our clients. The redemption process is super easy and the gift cards themselves are easy to use. Probably the only thing that I am not thrilled about is the user interface on the actual redemption screen. I feel like it could be cleaned up a little bit, or made a little more user friendly. As I said in the best, the redemption process is easy but it feels like I'm 90s web design. Tango Card is a great resource if you are looking to get Instant Redemption into whatever incentive scheme you are using. They are a little less great if you are using them for Hard Cards, but we do not currently go through them for that. We are using Tango Card to provide instant redemption for incentives programs. "Easy to place large orders and distribute gift cards to respondents quickly :)"
I love the ability to place large orders for gift cards relatively easily, and have them distributed to respondents after only a couple of short days... Tango's service offering has a much quicker turn-around time than even our internal check-cutting process. We use ACH transfer mostly because it's cheaper for our company, but that means the entire process is slower because Tango has to confirm that they've receive the funds before they initiate the gift card order. If Tango allowed us to charge our credit card on file, without a fee, that would be much preferred and we'd be able to get gift cards out to respondents quicker, without a delay in the process. It would also be cool if Tango offered a check service - because as of now, our company has no efficient way to cut checks (it takes too long to be able to justify doing this internally within our company). Being able to incentive respondents conveniently, in a way that they feel good about. "TANGO Card- Employee Recognition rewards"
TANGO card is very efficient, it requires very little administration, the delivery is seamless, and most importantly it gives our employees "options" which is very important. All of our employees are different, so it isn't easy to please everyone all of the time. One size fits all doesn't always work, with the TANGO card, they have the ability to use it for purchasing other gift cards from hundreds of retailers, or they can donate it to charitable organizations, or they can save them up through out the year and they don't expire. They aren't restricted or confined to accept whatever is given to them so they appreciate it more. I don't like that we can't really track when an employee has used their Tango reward. They do offer a standard report, but it doesn't help us really track monthly use since the cards never expire, an employee can use it whenever. Using the Tango card as a pat of our Employee recognition program has allowed us to reduce the cost associated with ordering and mailing physical gift cards. It also gives us more variety with a standard electronic delivery process, resulting in less administration. The benefits are a happier employee base, that has more options to choose from tailored to their specific needs. Reward Genius is great when you want to give an employee on-the-spot recognition. You cannot track the tango cards that have not been opened, redeemed, not redeemed. Trying to get more managers to utilize Reward Genius. Trying to get HR Managers to utilize the Blast Reward spreadsheet vs. me filling it in for each manager every month from their emails. 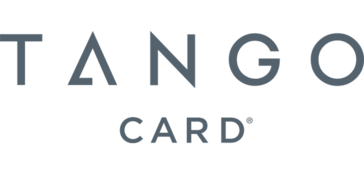 I would love to have our restaurants/retailers on tangocard as an option, but they cannot due to us not having electronic codes for gift cards. We're in a comfortable routine with the service at this point. Everything runs smoothly and routinely. The rewards catalog they offer is pretty extensive. The new admin portal helped us consolidate down from using three of their products down to a single tool. This saves headaches with our accounting team when it came to keeping all of this disparate accounts funded. The new portal allows us to carry out the same functions while funding only a single account. We leverage the API, which in our use case, makes it limiting for some rewards. The amounts we're allowed to set for various gift cards can also be limiting. "Really easy product to use"
"Tango is simple & easy to use!" I like the way Tango is integrated with Amazon and many other reward based commonly used online merchants. I have used it many time when being paid for surveys or other tasks online. I works just like a debit card without the physical card. Simply copy paste the code and instant payment is received. No physical card is needed to mail to the customer or client to pay them. Nothing, it is easy and very simple without worrying about a physical card to be mailed. Very secure. I highly recommend Tango as a payment or reward processor for online tasks reimbursement. Secure, easy payment for various tasks online. No need to mail a physical card. This is all done for you by Tango. "Responsive and Great Option for Business"
Customer Service has been very responsive when our clients have any issues. This is a great incentive solution for our clients. The volume of clients that utilize this service increases on a monthly bases and it has created some challenges. I am uncertain if new users get a detailed communication of how to redeem the gift cards when they first join. When launching utilizing Tango to our internal business or to your clients, send a communication and instructions on how to redeem the gift cards. We offer points based on revenue sold and our Clients can redeem those points in various ways, gift cards being one of them. Utilizing Tango has been a great solution for getting gift cards to our clients in a more timely fashion. Everyone I have worked with at Tango Card is responsive and makes taking care of our problems a priority. The service is easy to use, and they're willing to work with you to figure out the best solution for what you're trying to accomplish. Also, there's no cost to us to use the service - we put money in our account, then Tango Card sends out the cards we order - no extra fees. As they're building out their offerings, there are some limitations to what they can provide. Also, because the emails with the gift cards come from Tango Card and not from us, they often get lost in people's inboxes. FIgure out your needs and resources and whether you can start using their API right away. Also if international sending is a big part of your business, ask about the options for sending to other countries - some of them are more expensive. We used to manually purchase and send out dozens of gift cards via email each day. We've mostly automated our rewards process, and there are still more features (API) that we can take advantage of to make the process even more hands-off. "Perfect for a sales organization"
I like that it is a 3 minute process with no associated fees for distributing rewards to our teams. We used to have delays on expense report reimbursement and would sometimes even get shut down for suspicious activity when purchasing thousands of dollars. This is no longer. There is nothing I dislike, though sometimes my email server blocks the address the cards come from, that is more a nuisance. I would highly recommend this product. Before getting started however I would have a clear payment plan set up with your accounting department if in a large organization that cuts physical checks on only specific dates as you need the funds loaded ahead of time. We are helping build a positive, reward based culture. We are solving the immediacy in earning a reward and it being distributed and we are helping achieve sales goals through contests that are driven by these rewards. "Great Incentive to use virtually "
I have found the blast function to be the most time effective feature. When I need to send out 300-400 Cards out at once, this feature will allow you to send them all out at once time. The $15.00 fee associated with having to change or cancel a card isn't ideal. A great alternative for virtual employees. Saves you the time and cost of having to ship them out. Every employee who receives a tango card has the option of selecting which incentive they would like. This eliminates us time having to ask which card each employee would rather have. "Great option with no fees"
We've been working with Tango Card to fulfill incentives on our research projects. It's a great option because there is no mark-up, you just pay the value of the gift cards. We have several individual client teams using Tango Card, each team monitors their budgets closely. Tango is only able work from a limited number of pools of money for each organization. We had to come up with a system for differentiating the budgets. The Tango Team was helpful and cooperative as we worked through the process. There was a bit of a learning curve on the process, but once you learn how to process the incentives then the process is simple. We are saving money because there are no fees. "Easy to use gift card program"
Tango is great because we don't have to worry about locking up physical gift cards in the office, or trying to order them in bulk (and keeping track of pins, etc.). Plus, our employees really enjoy that they can choose from a variety of cards. They can pick something they'll actually use. So far, everything has been great. No complaints here! Before Tango cards I was unable to track who was giving out cards, who was receiving them, and how much we were spending. It was all up to each division to manage it. Now I have a better sense of how we are rewarding our employees and which divisions can do a better job of that. "User Friendly and best way to reward "
User Friendly options, variety of option to reward and different wave of providing the rewards. Team is very helpful and understanding. Secure system. Could get better accessibility to the incentive management like a login where you can she the account details and take steps. Need to revisit prepayment possible with the regular customers. yes, would definitely recommend this to other team within my organization who are willing to give incentive to respondent. We conduct research and in order to get good response we wanted something user friendly option to reward respondents. We were able to get good response when we introduce Tango card for incentive the respondent of our survey. "Helping us Mobilize our Advocates!" The ease to reward our advocates is so helpful for our marketing effort. Tango Card helped us better manage our advocate hub (Influitive). The integration is seamless and helps us save time in managing our hub. No major drawbacks, sometimes we have ailed to check our balance so we run into a wall when we want to reward advocates. I like the support team behind Tango, they were supportive and aided us through the entire setup process of our reward campaign. They were also on hand to respond to questions from our customers, regarding how they could redeem their reward. Tango ticked all if the expectation boxes.We will give this a try again. "Updated Server ruins a gift"
Quick Customer Service Response - if you contact them during their office hours. The firm updated their servers and wiped out my credit . I tried purchasing a gift with that credit, and because of the glitch in TangoCard's update, I was unable to make (a sale) purchase. Not only will I be disappointed, but my 5-year old daughter will be too. Their explanation was that because my firm (who got me the TangoCard) uses a paper system, there was no way to contact me about this server update. I find that hard to believe - when my Username IS my email address. If TangoCard continues to "update" and wipe our your credit to zero, I would not recommend. TangoCard's technology is not up-to-speed. Likewise, a firm like PayPal or Amazon updated their servers and wiped users credit to 0.0 balance, I'm sure would impact their firm negatively. Their API is extremely easy to use. It took my team only a day to fully integrate with their solution. The only thing I dislike about their API is the way they categorize their accounts/customers. It makes simple implementations a bit harder. Tango has allowed my customers to earn gift cards on the fly. Tago offers a very wide variety of cards which works very well with everyone. TangoCard is easy to use to provide rewards and incentives through it's online interface. I hope more gift card providers and retailers join on to help diversify the options further. Communicate clearly with reward recipients what they need to do in order to receive a reward from you via TangoCard. Always ensure you know where the recipient is located as some retailers or gifting options are not international. We need a way to easily provide and fulfil rewards based on specific actions. Limited visibility after code sent. With a vendor like cashstar, I can see the balance and activity on the card. Because we provide the codes to the customer through our email system, Tango does not provide customer support so that doesn't help us on that end. We still own that CS work. Tango offered us the discounts that we currently held with other partners, but not better. We realize that we can get better pricing with another vendor so will probably switch. "Tango takes reward redemption to a new height." I like the breeze of setting up reward programmes with Tango card,we basically did it under short notice and good part is customers sent us no single complaints about claiming their rewards. I think the giftcard options could be well expanded than the current list. Need to reward your customers?I recommend Tango card. "My students loved Card options." Customer support : They were on hand to guide us all through the process. And even when some of the students had minor issues claiming their cards, they didn't need to contact us.They reached out to the Tango team and the hurdle was fixed. We should had known about this before now. "Tango card makes the task of rewarding customers, a breeze. " I love the convenience using Tango card gives us. We know longer have people tasked working round the clock to deliver souvenirs. Everything is automated. I cant think of anything I dislike but maybe that we should had known about Tango, years ago. Efficient, cost-effective way to run a reward programme. Integration with our advocate marketing software (Influitive). Nothing I dislike, can always use more options for redeeming, but already so many! Tango has consistently been able to make themselves available to help with any situation we have run into. From the account managers to their dev team; truly outstanding. Approval process and licensing needs some review. We are supplying egift cards and eVises and have been able to use Tango's consistency to train our sales team to speak intelligently about the products. Easily send out incentives to your target audience and business prospects. It would be cool also to offer promotion codes as well as cards. Sometimes the recipient is unfamiliar with Tango card redemption. It's so easy to use. Brainstorm how to implement this with all your company's external and internal audiences. Currently nothing to dislike. They are easy to work with. We needed to provide digital offering after a previous vendor was no longer able to provide the service. Tango was a great option for us and we were able to implement it quickly. Tango Cards is very easy to use and can be customized to suit your business needs. The gift cards options/programs can be geared to internal clients like employees or to external clients. I didn't honestly have a dislike. The only drawback would potentially be the lack of physically hard plastic gift card. However, many of the gift card options have an online presence and a brick and mortar store. I would definitely recommend you contact their customer service team or complete the contact me info online. I was contacted within about 16 hours and the person I spoke with had researched my company and mocked up several options based on the brief info I provided. The customer service is top notch and they take care of the all of the work! My company had a referral program that we used another gift card company that sent out physical gift cards from Visa. There were fees associated with the card and mailing costs, we eliminated all of those fees with Tango. We just pay for the value of the card. "Highly Recommend Tango Card for Incentive Gift Cards!" What I love best about Tango Card is the way it's automated within the Influitive product we use at Mitel. I used to spend 5-10 hours a week purchasing and fulfilling gift card requests for just a few dozen people a week. Once we rolled out Influitive, in a few weeks we went up to 1000 advocates and there's no way I could have managed this on my own. Having it integrated with Influitive and then auto-fulfilled is brilliant and saves me time and hassle. I really like the variety of gift cards available through Tango and how easy it is to add funds to our account. Another thing I really like is how responsive they are. We now have 1718 advocates and many are global and they added a new Global Visa that works for almost any country in the world. What a revolutionary product! I don't have any concerns with Tango Card. Great product! Great company and employees! Great integration with Influitive! The business problem I have solved is that I was able to free up headcount required to manage the purchase and fulfillment of gift cards. I could then assign that headcount to work on more strategic projects. It also provided me more options. In the past I only did Amazon gift cards and with Tango Card I have dozens of gift card options. Employees, partners and customers love it! It streamlines the process for distributing gift cards to our users. Very simple to use. I wish money could just be put into the account directly without having to be approved. Sometimes we run out of money very quickly and then our users are waiting on gift cards. Also don't like how I need to have a code texted to me every. time. I. log. in. It slows my workflow down. "Great way to send gift cards "
"Great customer service, fantastic API"
We have been working Tango for a little over two years now. The team is incredibly responsive, and their API and solution set is very solid. The only thing that I wish Tango would offer are better access to Digital Visa gift cards. Their solution works - but the Third Party reseller they use has a fairly antiquated site. Start small - don't try to boil the ocean with all the hundreds of options Tango has! Our customers needed instant access to real time awards. Tango fit the bill perfectly with its products and services. * We monitor all Tango Card reviews to prevent fraudulent reviews and keep review quality high. We do not post reviews by company employees or direct competitors. Validated reviews require the user to submit a screenshot of the product containing their user ID, in order to verify a user is an actual user of the product. Hi there! Are you looking to implement a solution like Tango Card?